Game theory is a branch of mathematics concerned with the analysis of conflict situations. The term conflict situation refers to a condition involving two or more people or groups of people trying to achieve some goal. A simple example of a conflict situation is the game of tic-tac-toe. In this game, two people take turns making Xs or Os in a #-shaped grid. The first person to get three Xs or Os in a straight line wins the game. It is possible, however, that neither person is able to achieve this goal, and the game then ends in a tie or a stand-off. The variety of conditions described by the term conflict situation is enormous. They range from board and card games such as poker, bridge, chess and checkers; to political contests such as elections; to armed conflicts such as battles and wars. Mathematicians have long been intrigued by games and other kinds of conflict situations. Is there some mathematical system for winning at bridge? at poker? in a war? One of the earliest attempts to answer this question was the probability theory, developed by French mathematician and physicist (one who studies the science of matter and energy) Blaise Pascal (1623–1662) and his colleague Pierre de Fermat (1601–1665). At the request of a gentleman gambler, Pascal and Fermat explored the way to predict the likelihood of drawing certain kinds of hands (a straight, a flush, or three-of-a-kind, for example) in a poker game. In their attempts to answer such questions, Pascal and Fermat created a whole new branch of mathematics. Game: A situation in which a conflict arises between two or more players. Nonzero-sum game: A game in which the amount lost by all players is not equal to the amount won by all other players. Zero-sum, two-player games: A game in which the amount lost by one player is equal to the amount won by the other player. The basic principles of game theory were first suggested by Hungarian American mathematician and physicist John von Neumann (1903–1957) in 1928. The theory received little attention until 1944, when Neumann and economist Oskar Morgenstern (1902–1977) wrote the classic treatise Theory of Games and Economic Behavior. Since then, many economists and scientists have expanded and applied the theory. (such as rolling dice). Finally, the game ends after a set number of moves and a winner is declared. Games can be classified in a variety of ways. One method of classification depends on the amount of information players have. 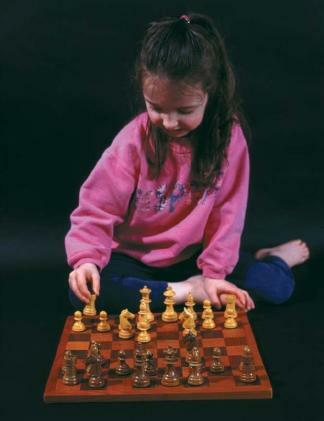 In checkers and chess, for example, both players know exactly where all the pieces are located and what moves they can make. There is no hidden information that neither player knows about. Games such as these are known as games of perfect information. The same cannot be said for other games. In poker, for example, players generally do not know what cards their opponents are holding, and they do not know what cards remain to be dealt. Games like poker are known as games of imperfect knowledge. The mathematical rules for dealing with these two kinds of games are very different. In one case, one can calculate all possible moves because everything is known about a situation. In the other case, one can only make guesses based on probability as to what might happen next. Nonetheless, both types of games can be analyzed mathematically and useful predictions about future moves can be made. Games also can be classified as zero-sum or nonzero-sum games. A zero-sum game is a game in which one person wins. Everything lost by the loser is given to the winner. For example, suppose that two players decide to match pennies. The rule is that each player flips a penny. If both pennies come up the same (both heads or both tails), player A wins both pennies. If both pennies come up opposite (one head and one tail), player B wins both pennies. This game is a zero-sum game because one player wins everything (both pennies) on each flip, while the other player loses everything. Game theory often begins with the analysis of zero-sum games between two players because they are the simplest type of conflict situation to analyze. Most conflict situations in real life are not zero-sum games. At the end of a game of Monopoly™, for example, one player may have most of the property, but a second player may still own some property on the board. Also, the game may involve more than two people with almost any type of property distribution. Game theory is a powerful tool that can suggest the best strategy or outcome in many different situations. Economists, political scientists, the military, and sociologists have all used it to describe situations in their various fields. A recent application of game theory has been in the study of the behavior of animals in nature. Here, researchers are applying the notions of game theory to describe the many aspects of animal behavior including aggression, cooperation, and hunting methods. Data collected from these studies may someday result in a better understanding of our own human behaviors. can i use this article as a reference for my paper?